How do you view the Arbella Insurance Foundation’s partnership with Greenough? The Foundation’s partnership with Greenough has evolved to a place where I consider our Greenough team to be an extension of Arbella. We are in constant contact—the Greenough team is always available, they provide insightful guidance and are proactive in bringing new thoughts and ideas to us. They understand and appreciate the role of the Foundation and the value of Arbella’s corporate citizenship. The Greenough team knows how to “tell our story” and the story of many of our charitable partners. They always show energy, enthusiasm and genuine care about the work that we do–and do together. What is the biggest benefit you have found by implementing a long-term strategic PR plan for the Arbella Insurance Foundation? The biggest benefit of a long-term strategic PR plan for the Foundation is that it promotes focus on certain issues, such as Safe Driving and Hunger, and adds value to the Foundation’s relationship with many of its long-term charitable partners. Greenough has become familiar with many of the Foundation’s causes and charities and helps create awareness of the work of many of these local charities, that may not be widely known, through creative and strategic PR methods. The best part of my job is witnessing the generosity and compassion of so many people and, in particular, Arbella Insurance Group employees and independent insurance agents. 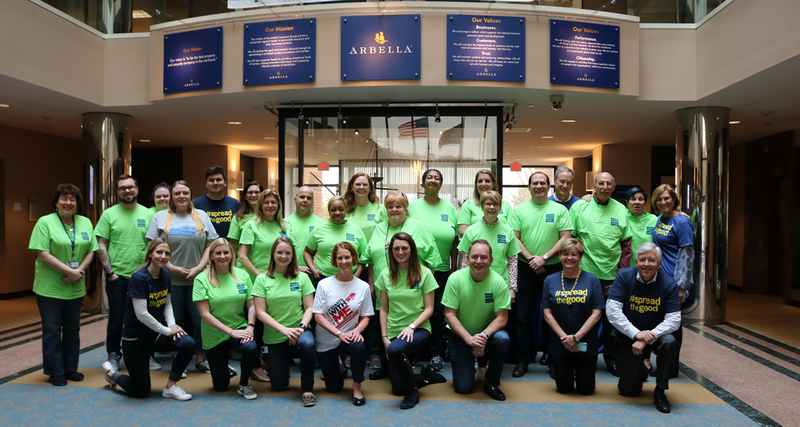 They embrace Arbella’s charitable work and participate in the Foundation’s many programs by giving financially, by volunteering and coming together to raise funds at charity events such as walks and runs. I see the comradery that builds, the sense of pride and the happiness from being involved and giving back to their communities by supporting causes that are important to them.